There are 8 desktop wallpapers listed below. The files are sorted by number of votes, beginning with the most popular content. You can vote for wallpapers by adding them to your Favorites list. Over a Thanksgiving holiday I was spending some solitary time at the rapids. The hike was full of colourful leaves and this bright red maple tree caught my attention. This shot is a composite of an exposure lasting several minutes using my Lee Big Stopper to blur the water, and another series of photos combined using HDR to freeze the leaves. Lee Big Stopper, Photoshop 6, Photomatix. Photo Settings: 21mm, f/11, ISO 100. As I was driving through Stouffville, Ontario, I spotted a big maple tree with bright yellow/orange leaves and had to stop and capture it. I waited for the leaves to fall in order to convey movement in the photo. Photomatix and Adobe Photoshop CS6. Photo Settings: 17mm, f/11, 1/50 second, ISO 100. 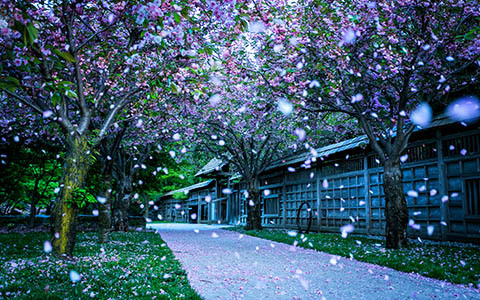 Kariya park in Mississauga was designed and inspired by the Japanese. Although it's in Canada, there is a sense of belonging in Japan when you are there. Photo Settings: 36mm, f/4, 1/320 second, ISO 2500. I was in this farm land in Maple. 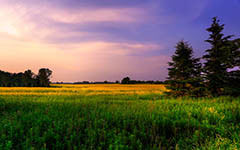 As I drove by i spotted two pine trees surrounded by a yellow grass field and decided to snapp some photos. Adobe Lightroom and Adobe Photoshop 6. 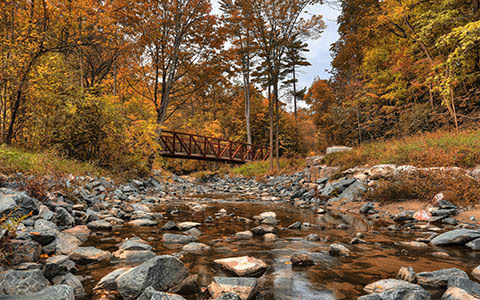 Picture taken at Wilket Creek Park in Toronto, Canada. 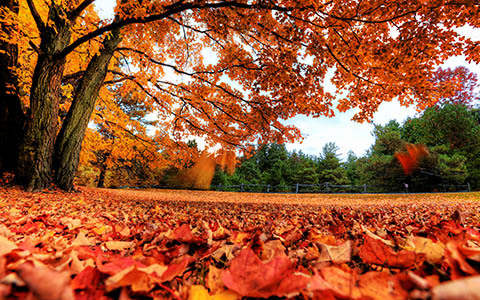 This time of year as the leaves are changing colours, is a great opportunity to take photos. Photomatix and Adobe Photoshop 6. Photo Settings: 27mm, f/11, 1/5 second, ISO 100. Its actually a park, mimicking an island. The horizon and angle of composition mimic an island. 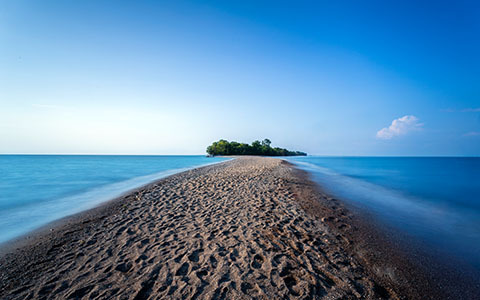 Taken at Point Pelee Provincial Park in Ontario. 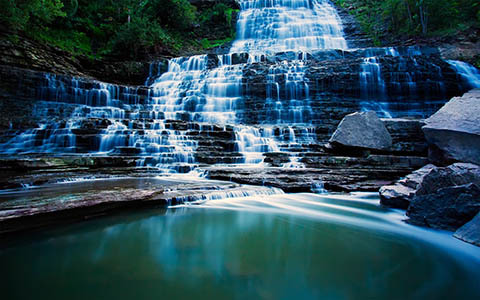 Long exposure using a Lee 10-stop filter. Adobe Photoshop CS6. Photo Settings: 17mm, f/11, 20 seconds, ISO 100. 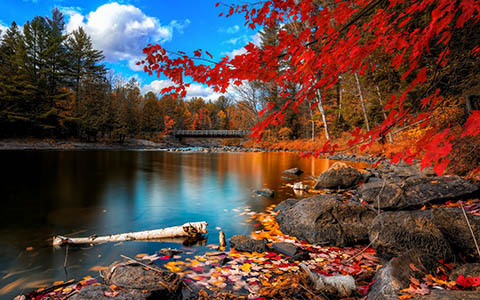 This image was taken at Awenda Provincial Park in Ontario, Canada. I wanted to capture the moment of peace, relaxation, tranquility of a seagull's daily life. I used a Lee Big Stopper to slow down the motion of water while the Sun was still bright and just about to set. 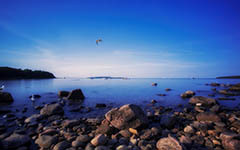 Bracketed exposures were used to bring out the highlights and colours of the rocks via HDR and to mask-in the lonely flying seagull in the center of image.